By now, you’ve heard of the many health benefits of exercise. You may even be exercising to prevent or help control chronic diseases such as heart disease, diabetes, obesity, and even cancer. But did you know that exercise can boost your brain’s ability to think, remember, and stave off age-related cognitive decline? 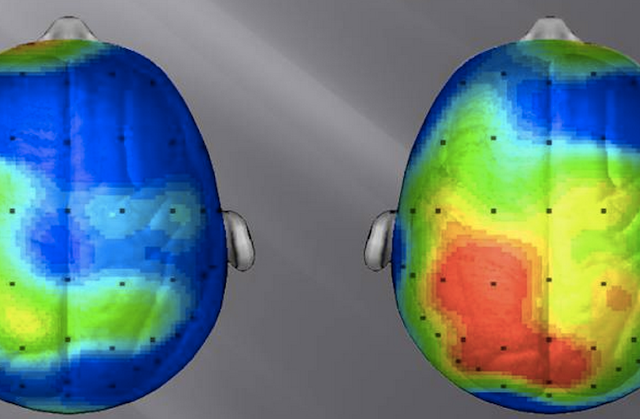 Literally, exercise can change your brain. Perhaps even prevent Alzheimer’s. Exercise helps the brain both directly and indirectly. The indirect effect comes from its ability to reduce or prevent chronic conditions such as cardiovascular disease and diabetes, while improving mood and reducing anxiety. These diseases and conditions produce progressive brain dysfunction and mental deterioration over time. The direct effect of exercise on brain health has to do with its impact on brain cells through what’s called neuroplasticity, or the brain’s ability to reorganize itself by forming new neural connections. A study out of Princeton University showed how exercise induces neuroplasticity by increasing the number of cells in the ventral hippo-campus and increasing the levels of GABA, a neurotransmitter. Check out this video. How does exercise do this? Scientists believe that exercise increases the amount of brain-derived neurotrophic factor (BDNF) that the body produces. This protein has been dubbed “Miracle-Gro for the brain” by Harvard psychiatrist John J. Ratey. It increases voltage in the brain by binding to receptors in the synapses that activate genes to produce brain-healthy neurotransmitters while sprouting new brain cells. For you, the benefit is better memory, heightened learning capacity, and better coping skills — not a bad payoff for your investment. Not bad for something so simple as exercise. The possibility of developing Alzheimer’s disease strikes fear in all of us. The Alzheimer’s Association estimates that there will be an additional 10 million cases in the U.S. in the next few decades. With no direct cure available at this time, emphasizing prevention may be the best route. Exercise, according to some research, may be a useful tool in your efforts to stave off this dreaded disease. My advice? Get off the couch and get moving. What Type of Exercise Is Best for your Brain? There is a wide variety of exercises available to you when getting in shape, but which type of exercise is specifically best for your brain and how much exercise is needed remains unclear. Current research is beginning to piece together how various forms of exercise affect the brain and can potentially stave off age-related deterioration. Let’s take a look at some of the current research. Study 1 – For the first time, in a study published earlier this year at the University of Jyvaskyla in Finland, scientists compared aerobics, resistance training, and high-intensity interval training (HIIT) on a group of rats. One group used running wheels (aerobics), one group climbed walls with small weights attached to their tails (resistance training), and another used small treadmills with intermittent slow and fast running (HIIT) for seven weeks. Aerobic activity – The rats performing steady aerobic exercise showed high levels of neurogenesis, more BDNF, and hippocampal tissue swollen with new neurons. The further they ran, the greater the number of new cells. HIIT – Rats performing high intensity intervals showed fewer new cells than the aerobic group. Resistance Training – The weightlifting rats, although much stronger, did not exhibit much neurogenesis. Study 2 – Researchers from the University of Muenster, Germany assessed post-exercise learning performance of 27 volunteers who were assigned to do either 40 minutes of high-impact sprints, low-impact aerobic running, or a period of rest. BDNF levels for all participants were measured prior to exercise. Post-exercise, those who performed high-impact activity showed a 20% faster rate of learning vocabulary than the other two groups. The high-impact group also demonstrated higher levels of BDNF and other cerebral markers of brain health such as dopamine and epinephrine. University of Illinois at Urbana-Champaign researchers studied yoga’s effect on cognition (executive function) of 30 female college-age participants who performed three different testing sessions consisting of yoga (stretches, breathing exercises, and meditation), aerobics (20-minute session on a treadmill at 60% – 70% incline), and a baseline assessment. Results showed that cognitive performance after the yoga session was superior to both the aerobic group and the baseline assessment in regards to shorter reaction times, increased accuracy, and working memory tasks. The performance of the aerobic and baseline groups was not significantly different from one another. A study out of the University of British Columbia took a large group of women between the ages of 65 and 75 who were already enrolled in a brain health study and had already received a brain scan. The study focused on women whose brain scans had indicated the presence of white matter lesions (age-related holes in the brain associated with memory loss). The women were assigned to one of three groups for one year, one performing resistance training once per week, the second twice per week, and the third doing stretching and balance training. The women who performed only balance and stretching and those who weight trained once per week showed disturbing increases in white matter lesions. However, the women who worked out twice per week had much less deterioration in white matter and less brain shrinkage. Current research is unclear and even contradictory as to which exercise is best for your brain, its long term effects, and the amount of time one must commit in order to reap positive results. However, research does support the notion that exercise sustains proper brain function and emotional health, and may even prevent or slow neurological and psychiatric disease. Exercise has been associated with reduced risk of age-related Alzheimer’s, Parkinson’s, and other diseases. Prescription: For the time being, it seems best to commit to an exercise regimen that incorporates a variety of exercise formats (resistance training, aerobics, stretching, and balance), is moderately intense, and conducted at least three times per week. Whatever you decide, make sure it gets your body moving. Good luck. Always consult with your physician before embarking on an exercise program.